No doubt: Water is the perfect drink. It doesn't have calories, sugar, or carbs, and it's as close as a tap. If you're after something tastier, though, you've got options. Some tempting or seemingly healthy drinks aren't great for you, but you can make swaps or easy homemade versions of many of them. These tasty treats can fit into your diabetes diet and still satisfy your cravings. This treat may remind you of the school lunchroom, but it’s a good calcium-rich choice for grown-ups as well. 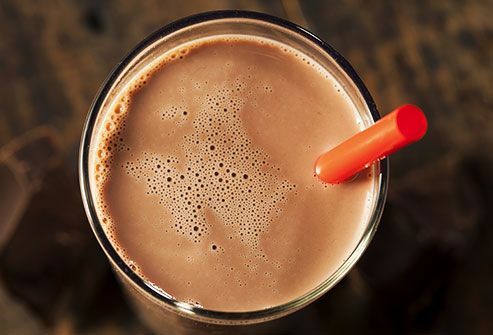 Low-fat chocolate milk can be a good post-workout recovery drink. The bad news: Ready-made brands come packed with sugar. Try this at home: Mix 1% milk, 3 teaspoons of cocoa powder, and 2 tablespoons of the zero-calorie sweetener of your choice. It saves you 70 calories, 16 grams of carbs, and 2 grams of fat compared to 1 cup of store-bought, reduced-fat chocolate milk. A 16-ounce fast-food version might have up to 36 grams of carbs. 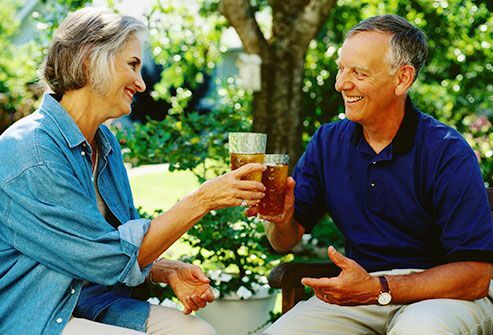 That’s a lot of sugar, especially when there are carb-free choices, like sugar-free iced tea or iced tea crystals, that are just as satisfying. But you can also easily make your own: Steep tea with your favorite crushed fruit (raspberries are a good choice). Strain, chill, and then sweeten with your choice of no-calorie sugar substitute. That’s a tall glass of refreshment. 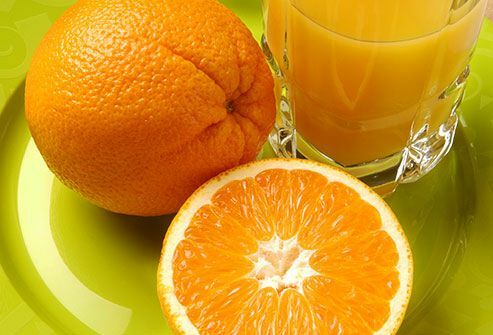 OJ tastes good, but with 26 grams of carbs in one cup, you're a lot better off eating a whole orange instead. The fiber will help keep you full. If you really want to drink it, try an orange-flavored light fruit drink. Look for a brand with 3 grams of carbs, 15 calories, and 100% of your daily vitamin C.
It’s sweet, spicy, fragrant, and creamy. What’s not to love? The typical coffeehouse version packs a whopping 33 grams of carbs. But you can easily make one that's a lot lighter. 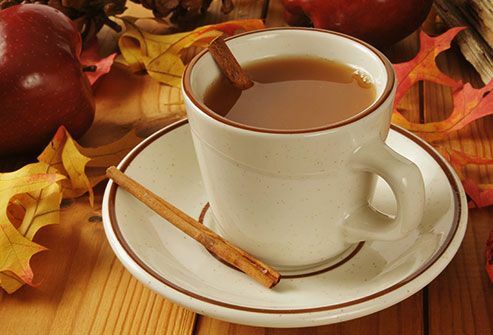 Steep one or two chai tea bags in a cup of unsweetened almond milk, and spice it up with cinnamon and black pepper for an extra flavor kick. That’s a warm treat with less than 1 gram of carbs. Nothing says summer like this drink. But 16 ounces of a popular brand served at restaurants gives you 60 grams of carbs. Your best bet is to make lemonade at home. 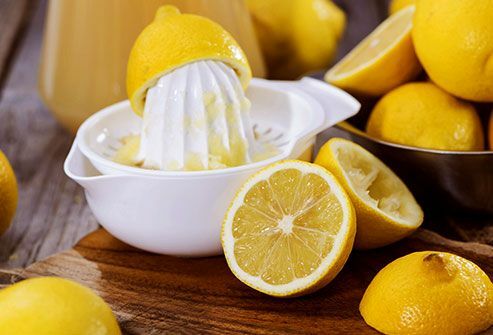 Mix water, fresh-squeezed lemons, zero-calorie sweetener, and ice for a truly refreshing beverage without a single carb or calorie in sight. It’s the ultimate in decadent drinks. Coffeehouse-style versions of this classic are packed with carbs. 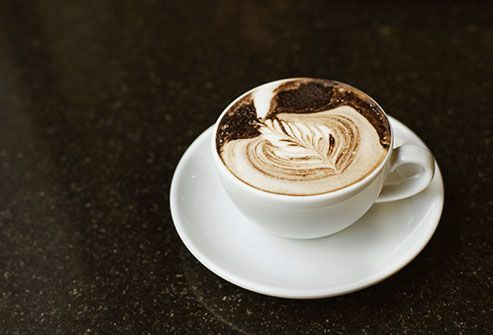 A typical medium hot chocolate made with low-fat milk has 60 grams. Good news: You can make your own satisfying mug for less than half that. 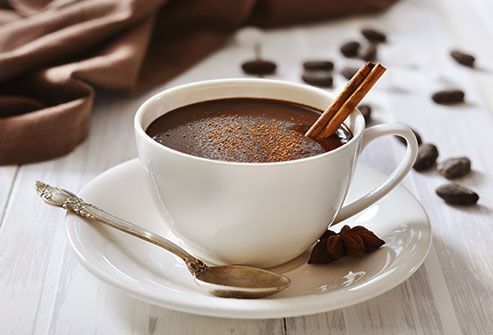 Mix 1 cup of low-fat milk with 2 squares of 70% dark chocolate, 1 teaspoon of vanilla, and a little cinnamon. Melt in a saucepan, and enjoy it for 23 grams of carbs. Few things beat a hot, fragrant cup of this when there’s a chill in the air and the leaves are turning colors. And though it may be farm-fresh, the cider packs the same amount of carbs per serving as plain-old apple juice -- 26 grams per cup. Instead, choose a light apple juice cocktail, and you’ll cut the carbs and calories in half. 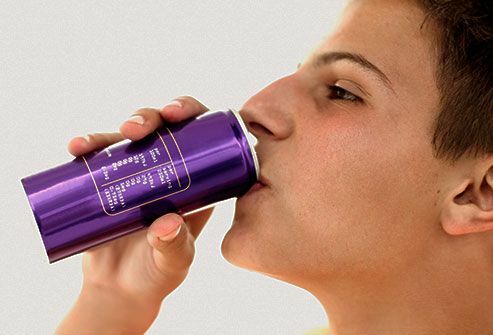 These pack plenty of caffeine per ounce, so depending on how much you drink, you could be guzzling way more than you realize. That’s a problem, since caffeine can raise your blood pressure and heart rate. Still want a jolt? 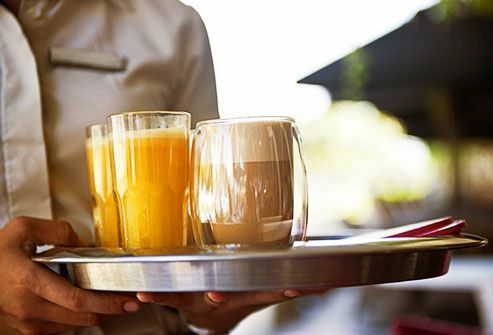 Pick a sugar-free drink, and limit your total caffeine to no more than 400 milligrams over the course of a day. It seems like a healthy choice, but store-bought versions almost always include a lot of carbs and sugar. One 12-ounce mango-flavored smoothie from a popular chain, for example, has 58.5 grams of carbs. That’s equal to an apple and a sandwich combined. 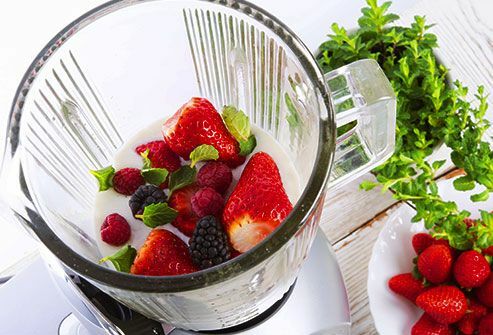 Substitute a homemade berry smoothie, with half a cup each of blueberries, strawberries, and banana. Blend with some ice and enjoy for about half the amount of carbs. A 20-ounce bottle can have 60 grams of carbs. 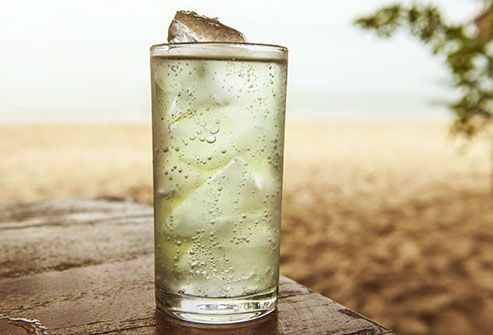 You can have more of the zesty flavor with none of the sugar or carbs by adding a spoonful of finely grated ginger to a glass of seltzer water. Add a bit of your favorite zero-calorie sugar substitute, and enjoy. Chocolate and coffee are a great pairing. The bittersweet flavor combo makes it a popular coffeehouse drink. But some have more than 300 calories and 40 grams of carbs, so it’s not your best choice. 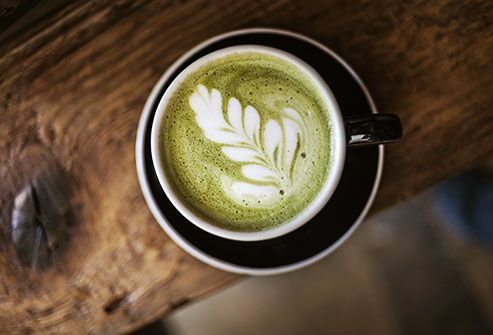 Instead, make your mocha by mixing 1 cup of brewed coffee with 1 tablespoon of cocoa powder, 2 tablespoons of low-fat milk, and a little of your favorite zero-calorie sugar substitute. You’ll save more than 300 calories, 40 grams of carbs, and 14 grams of fat. Marina Chaparro, registered dietitian nutritionist, Academy of Nutrition and Dietetics spokeswoman, Miami. Toby Smithson, registered dietitian nutritionist, founder, DiabetesEveryDay.com. Dawn Noe, registered dietitian nutritionist, Cleveland Clinic Foundation. Spaccarotella, K. The Journal of Strength and Conditioning Research, December 2011. Pritchett, K. Medicine and Sports Science, 2012.